Saturday evening, August 13, 2005 e.v. After my last three addresses I've had presenters come up to me and tell me that I just delivered their presentation. I guess they wanted to make sure their comp was still valid. Anyway, I hope to avoid that this time, so I'll try to keep my remarks fairly brief, and incomprehensible. According to traditional usages, heretics are those who dissent from religious authority in matters of doctrine; and kings are those who rule as sovereign authorities over their realms, whether large or small. Historically, heretics and kings haven't really gotten along very well, most of the time (and none of them really got along at all well with pirates, but that's really beside the point). Historically, a heretic was always someone who was on the losing side of a religious controversy. Those who were labeled as heretics rarely thought of themselves as such. They usually thought of themselves as the truly orthodox; it was those in power who were the heretics. More recently, though, in a world of relative religious tolerance and the spread of a world-view based on the new priesthood of science, a heretic has come to mean someone who is a rebel against any entrenched orthodoxy, whether that orthodoxy be within the religious community, or the scientific community, or the business community, or the bird watchers community or any other community. Under such conditions, the epithet of heretic has come to be one that may actually be sought after; although it is still just as likely that any heretic, whether so identified by his enemies or by himself, will view himself as a representative of the true and rightful orthodoxy. Historically, a king was always someone who ruled over lots of other people. The Book of the Law, though, implies a more individualized interpretation of the word: According to Crowley's Commentary, Kings may be seen as those individuals who are capable of understanding themselves, who have controlled the rabble in their own minds in order to do their Wills. On the other hand, a king, regardless of the size, scope, or nature of his realm, can still be a rigid enforcer of a stale, oppressive orthodoxy or a weak, ineffective pretender who allows his realm to be torn apart by rebels… or heretics… intent on establishing their own static, oppressive orthodoxies. Perhaps there is a middle way. Perhaps it is possible for sovereign, free-thinking individuals, responsible to themselves, the masters of their own thoughts and emotions, to join together in fraternity in order to accomplish things that they could not do as mere individuals. Perhaps such individuals can be fraternally united by a set of ideas and customs without being oppressed by them. Perhaps it is possible for a ruler to govern with both tolerance and firmness. Perhaps it is possible to recognize and uphold freedom of thought and conscience, and still forestall division and fragmentation based on ideological and political differences and disagreements over the interpretation of texts. Perhaps it is possible to allow a body of ideas to evolve in parallel with an expanding understanding of the natural world without abandoning its fundamental, timeless principles. Perhaps it is possible to maintain a diversity of individual opinion, while presenting a unified and coherent face to the world. I think it might be possible. Not easy, but possible. I hope that was brief enough. Let me just add a few additional words about some current projects and other matters, and then we can proceed with the fun and frolic of the evening. You're all aware of the current push for local body development. We've had a policy in place for some time that Lodges are expected to have a dedicated Lodge facility in which to conduct their official events, and many Lodges–and Oases–are making this happen. We're looking for ways to make this easier for them, especially in terms of local revenue. We have completed our application to the IRS for a group tax exemption that would extend USGL's tax exempt coverage to those local bodies who responded to the GTG's recent request for information. If successful, this application would exempt all local dues and donations paid directly to those local bodies from federal taxation. We are also looking at various ways to encourage greater membership participation in local body development. As I've said before, the local bodies are really where the fundamental work of our Grand Lodge gets done: the initiations, the Gnostic Masses, the classes, the building of fraternity. There are, in my opinion, a lot of good reasons for Lodges to have dedicated Lodge facilities, but they all pertain to facilitating and enhancing that fundamental work. We need to keep that in mind as we move forward. If we acquire beautiful buildings, but lose our sense of fraternity in the process, then we will have built our temple on a foundation of sand. Can we have beautiful temples and maintain a strong sense of fraternity and community? Of course we can, but both need continued effort and dedication from all of us. And that doesn't mean just money. 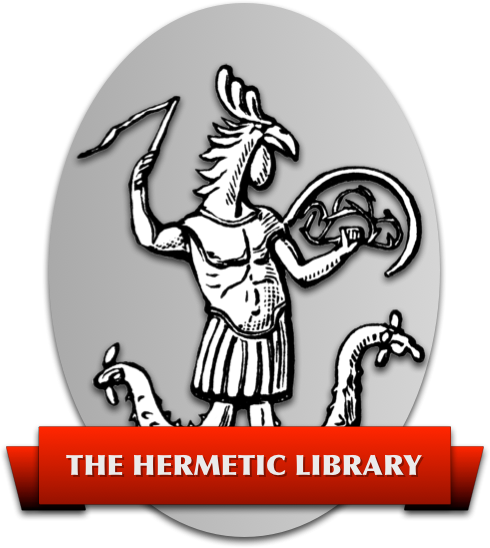 The Education Committee has set up, chaired, and staffed the first subcommittees, which are: the Ceremonial Magick Subcommittee; the Qabalah Subcommittee; the Yoga Subcommittee; the History, Philosophy, Mythology, and Religion Subcommittee; and the Divination, Astral, and Skrying Work Subcommittee. There is still room for new committee members, so, if you are at least a KEW and you think you have some significant expertise in one of more of these areas to contribute, then please talk to Sister KB. The Psychology Guild has developed a weekend workshop for Local Body Masters and EGC Clergy on pastoral counseling. The workshop was successfully beta-tested last month in the Bay Area, and plans are now being laid out for scheduling this workshop on a regional basis throughout the U.S., so watch for it. This workshop is coming as “highly recommended” for all existing and aspiring Local Body Masters and EGC clergy, and as “just short of mandatory” for all SGIGs, Grand Tribunal members, and EGC Bishops. For more information, please get in touch with Brother DS. Our library has now accumulated nearly 1000 titles, largely due to a bequest from Brother David Knouse of Hot Springs, Arkansas, who died last June. I expect the cataloguing of the new books to be completed by the end of next month, and by the end of the year, we should have our mail-order lending system in place. The catalog of available books will be posted on the USGL website, and members of at least V* will be able to apply for borrowing privileges to the Librarian. Finally: For those of you who never read anything, we had a genuine milestone earlier this year. Brother Bill Heidrick retired from his role as International O.T.O. Treasurer General at the end of April. I would like to take this opportunity to personally thank Brother Bill Heidrick for 26 years of extraordinary service to O.T.O. in his role as both Grand Treasurer General and International Treasurer General. Bro. Heidrick's role as IHQ Treasurer General has been assumed by Bro. Vere Chappell, who was our friendly and efficient GTG for seven years, until IHQ swooped down and abducted him from us, carrying him off to its European stronghold. Bro. Vere would actually like to speak to you for a moment, so I will now turn the microphone over to him. Given his current and past offices, and given what you've suspected about us all along, I'm sure you'll be perfectly shocked to learn that he intends to ask us for money. But I think you may agree that it's for a worthy cause.